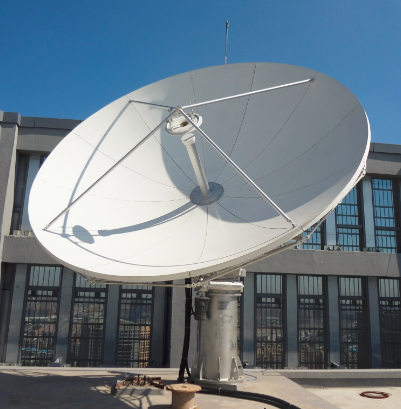 Alignsat 4.5m antenna delivers exceptional high performance for transmit/receive application in C ,Ku, and other Multi-band in Tx/Rx 2ports, 4 ports or Rx2 port with high gain ,low noise and low microwave interference. Alignsat 4.5m antenna delivers exceptional high performance for transmit/receive application in C ,Ku, and other Multi-band in Tx/Rx 2ports, 4 ports or Rx2 ports with high gain ,low noise and low microwave interference. 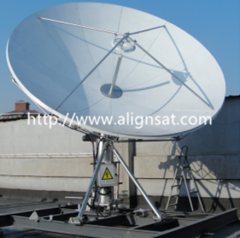 Alignsat 4.5m antenna offers a fine reflector design with a stretch formed double contoured panels, strong back struts and hub for ease of field alignment. The standard designed azimuth over elevation pedestal provides a cost-effective solution for ground or roof installation with high stiffness and stability, full orbital arc coverage and fine drive performance, and ensures the pointing and tracking accuracy. The electrical performance is compliant with FCC and ITU-RS-580 sidelobe specifications and Intelsat, Eutelsat, INMARSAT, ASIASAT, APT and CHINASAT, etc. requirement. 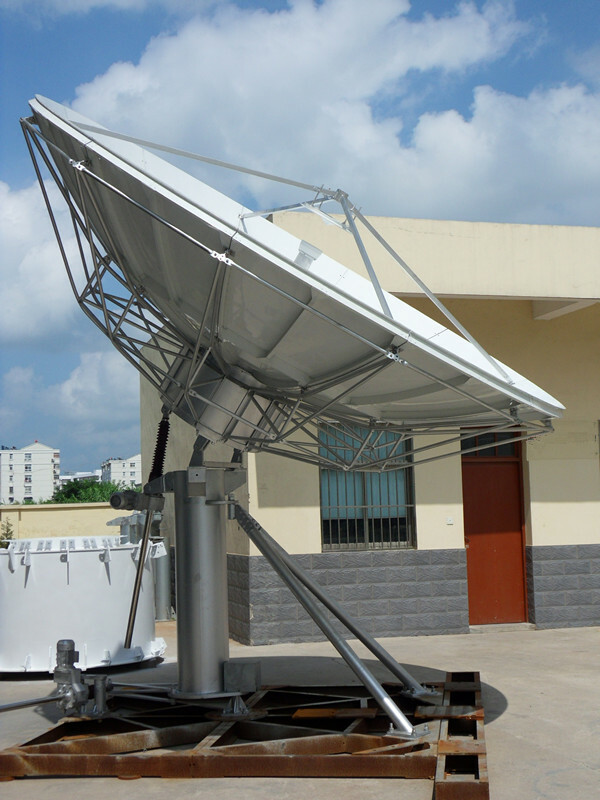 C, Ku, and Multi Band available, meeting or exceeding FCC and ITU-RS-580 requirements. High quality aluminum reflector panels and galvanized steel backup structure. Self-aligning aluminum antenna reflector-no field alignment. Galvanized steel elevation over azimuth pedestal. Field changeable feed system, switchable circular to linear C-band. Fixed foundation and Non penetrating foundation optional for wider choice. Survives 125 mph winds in any position and High wind configuration optional.